Escape the Rat Race. If I can do it, so can you! Escape the rat race. Is it possible? 5.45 am and I’m woken up by the piercing “Beep Beep” of my alarm jarring through my brain. I tried bird-song and babbling brooks but nothing changed the fact that it was 5.45 am and I had to get up, get ready, then go fight for a seat on the train to the City. I knew exactly (to the nearest centimetre) where to stand on the platform so a door would stop right in front of me, but the train was usually full already so my military precision was usually pointless. After this wonderful journey into the centre London listening to other people’s “tinny” music leaking from inadequate headphones and enjoying their wet umbrella’s slowly dampening my trousers and my spirits at the same time, I would spend the day working in my role as Claims Manager for a large insurance company. I really enjoyed my work but felt constrained by the out-dated philosophies and attitudes I saw everyday. Lunchtime was an oasis that I’d spend in the gym. Sound familiar? I am sure this is a daily routine shared by many. That was then… But this is now. I am a Senior Business Consultant and I also specialise in wellness, presenting Pilates and functional training all around the world. I am my own boss in everything I do, and I really feel that I am making a positive difference to people’s lives, and I am living in the place that from when a was a small boy I dreamed of living. “I would of course love to pursue my dream as a/an ………….. (insert dream job here) but I could not possible do it because (delete as applicable) I’m too old / of the mortgage / of the children / I’m not good at learning new things / I can’t do my own accounts / I have no marketing experience / any other excuse you can think of.” Other people keep the thought in their head that “I could give up this life I do not enjoy but when the time is right”. Of course the time is never right, but they get some comfort believing that they could if only… They are the same people who say they could give up smoking, they could give up over eating, they could start exercising, they could learn Spanish but surprise surprise, it never happens. There is always an excuse not to. I lost my father a few years later, and that along with some other events gave me the final push to achieve my life-long dream and move to Barcelona. Another big challenge, another “out of comfort zone” experience. But as they say, that’s when we grow the most. So how can we go from a life of “coulds” to actually taking action? It makes sense to have a gradual change, maybe pursing your new career in your spare time first, so you have the financial security of still earning money and also save some money. This does mean working long hours, but what better motivation than to know that one day you will have the career change you have always dreamed about. It’s not a compromise to start part time, it’s just sensible. As long as you have a plan, an end game, and you stick to it. Don’t end up doing two jobs forever! It’s essential to have a plan. When I say that to people, they say “Aha, but you are Buddhist and you always say about living in the Now and not in the future” as if they have found a vital flaw in my philosophy. But I politely point out that with no plan, we have no direction. Planning per se is not a bad thing to do, but there are rules. One golden rule of planning is that plans change! So be prepared for that. It’s like driving on a long journey at night. We know our final destination (otherwise we would drive around aimlessly) and we have a map so we know where we are going and how we will get there, but at any one time we can only see 100 metres ahead of us. Maybe our route will change because of unforeseen problems, but we will be flexible and we will arrive at our destination. You do not need to be able to see your destination to get there. Enjoy the journey, one step at a time, but always knowing that you will get to where you want to be. But you must be careful about your new career. Your business should be a means rather than an end, a vehicle to enrich your life rather than one that drains the life you have. The worst thing you can do is start working for yourself and end up working so hard and stressing so much that you hate your job! It’s such a common mistake, people see the romantic notion of being their own boss, but after the initial euphoria, they realise that they are working harder and longer than they were before. At least working for someone else they could leave work, go home and relax. But now their job is with them every waking hour, they live it. And the dream turns into a nightmare because instead of having a boss for your job, your job has become your boss! And it’s no fun. In fact it’s less fun than your old job working for someone else. You can’t take holidays because the work won’t get done. You can’t be ill, you can hardly stop to think. Your social life is nonexistent, yet you carry on thinking that your hard work will pay off one day. Maybe it will, but more often it won’t, and many people end up giving up and getting a “normal” job again. The important point here is that no matter what you thought before, your business should not be your life. Your business should serve your life, and not the other way around. There’s a saying that great businesses are not built by extraordinary people but by ordinary people doing extraordinary things. So how can an ordinary person do extraordinary things? By having a system and a plan. Again it’s the “p” word. Have a plan and stick to it! Things will change, but always know where you are aiming to get and how you will get there. Do not be afraid to ask for help. Friends and parents will help of you ask. They will see the changes you are trying to make and if they are really on your side then they will help. And of course, make sure you have the support of your partner. It sounds so obvious and yet I know many people who think they can make such a big decision on their own. You must expect hard times and up and downs. It’s normal and natural. Remember the old cliché, we grow the most when we are out of our comfort zone. I can confirm from experience that this is so true! So much so that I try to stay out of my comfort zone as often as possible. I could continue writing for pages and pages about Business Plans, marketing, SMART targets, feasibility studies, SWOT analysis/matrix etc etc, but that is not the point of this article. The point is to show you there is another way. You can change your life. You control and create your own Universe, you really do. You always have a choice. Always. Every journey begins with the first step. But it will never begin unless you take that step. I’m not special. If I can do it then so can you. 6.00 am and I’m woken up by my alarm. I still get up early and I work very hard, but now it’s very different, it’s my choice. Maybe I will go for a run on the beach or an early morning swim before I start work and before the rest of the world wakes up. That’s the difference now. Choice and control. And it’s a great difference. I still regularly go into The City and I deal with my old contacts, but now it’s for my own company so it’s on my terms. It feels a very different place. The moral of my story in 11 words? It’s not too late, you have the rest of your life. And if there is any way I can help, then please just ask. Chris is a Senior Business Consultant and international Pilates and Wellness presenter and educator based in London and Barcelona, Spain. He is the creator of Pilates EVO©. 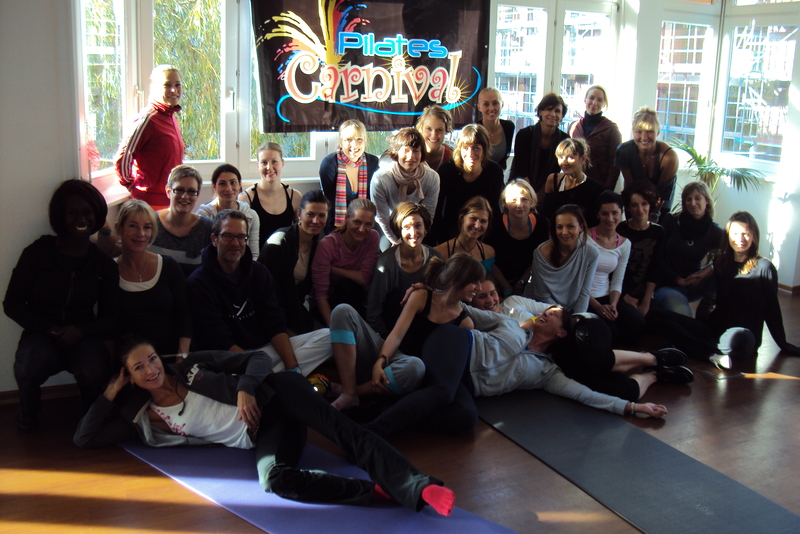 He also created Pilates Carnival and Fitness Carnival, conventions where all profits go to local children’s charities. He organises fitness holidays and sports holidays in Barcelona, as well as retreats. For more information please click on Barcelona Bienestar. To learn more about Chris, please read Just who is Chris Hunt anyway? You can also subscribe by completing the form on the this BLOG to receive articles and special offers straight to your inbox. 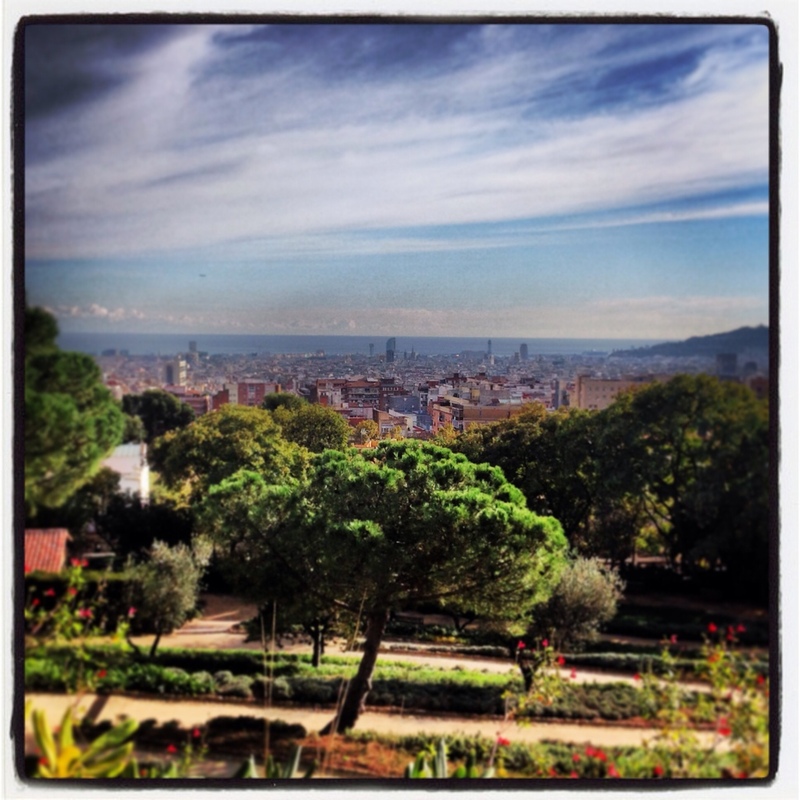 A view of Barcelona from Parc Güell. I love this city. 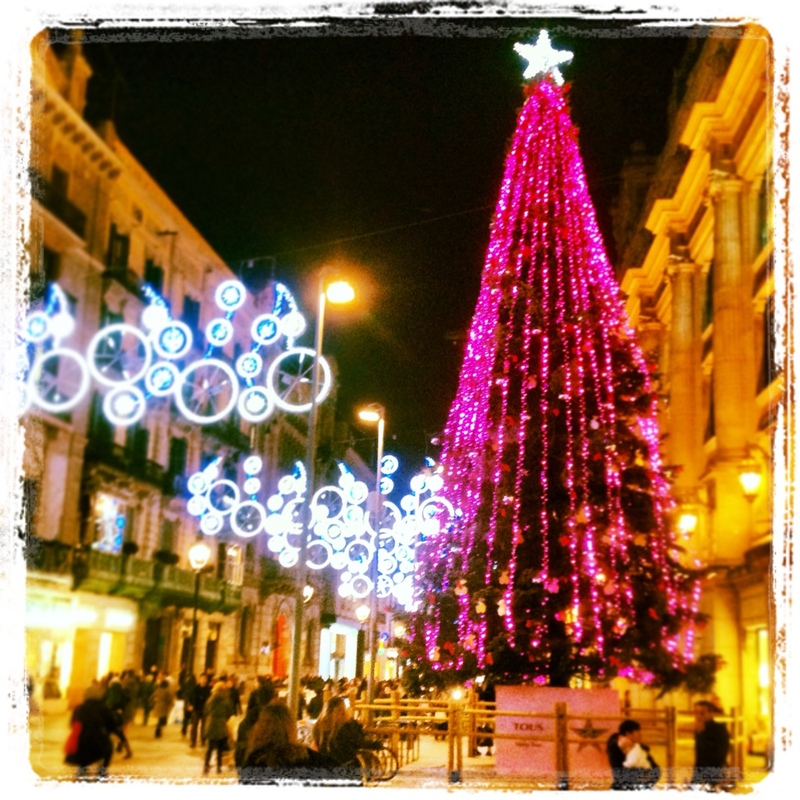 Barcelona is a beautiful city no matter what the season, and Christmas time is no exception.